It is a time in Egypt when it is not welcome to write something serious that addresses serious issues. Everything borders on the ridiculous. Rhetoric has shifted to a medieval or primal state where basic values are being revisited. Is it OK to discard human rights because of the violence of non-state actors? Is it OK for the police to kill innocent civilians in the supposed act of protecting these same people from terrorism? Is it OK that we have a country without fair trials? Most of the time, in the state media, the answer is yes. There is little public discussion permissible. The majority has made its voice heard: The mass of Egyptians trusts whatever the government does politically, but will continue to ask for economic reform. It’s a little strange that things such as murder, torture and fair trials have become something “political” that only concern the elite. As if it’s forgivable, in the eyes of the masses, that such actions occur in the name of the greater good. What greater good is there other than giving the poor their rights and holding those in power accountable, rather than targeting the innocent? The argument is that terrorism forces us to take exceptional measures. In reality it’s fear. The amazing thing about fear is that it makes everything possible. All of a sudden it’s possible to cure AIDS and hepatitis C without scientific research. It’s possible to grow as a nation and be respected without the government respecting democracy or its citizens. It’s possible to condemn some inhumane acts of terror, such as the slaughter of 21 Copts by ISIS in Libya, but not the murder of a thousand people in Rabaa. It is unreasonable to ask those who are afraid to overcome their fear. How would they do that, in an Egypt that is ready to punish the weak for demanding their rights, a nation where there is no protection from rabid security forces driven by revenge? How can people overcome fear when the international community has opted to pursue interests at the expense of rights they had once agreed should be universal? Today’s Egypt is a land of possibilities, mostly horrific. There are no means of petitioning the government. There is no elected body to attempt, even symbolically, to temper the dictatorial powers of the president and the army. I would go so far as to say there are no ministries, since state security officers can override the decisions of any minister or government official in the name of national security. The result is the Egypt we see today, one that is trying to enforce the view that it is a democratic country with violence and intimidation, as well as lots of money invested in propaganda and Western public relations firms. We see an Egypt unwilling to represent the interests of its people, but willing to safeguard personal interests, whether in the form of military economic empire or civilian crony oligarchy. Both of these sets of interests are happy to engage in an unadvertised cold war over the country’s resources. In 2011 many Egyptians defied tyranny out of courage. Today many are defying human decency out of fear. 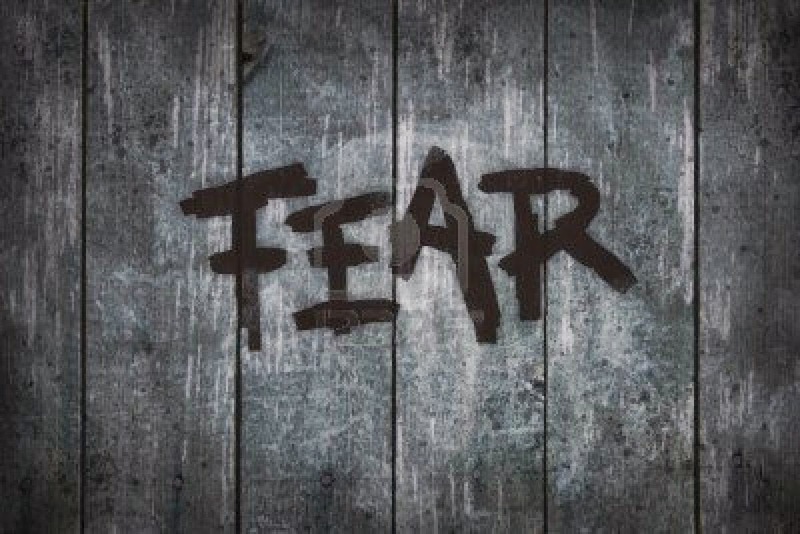 Fear is here to stay because there are no saviors in this world. There are oppressors painted as saviors and heroes painted as villains. The saddest part of this dark, ugly picture is that it was made possible by the blessing of the people, who were willing to justify the theft of rights. In a way fear kills dreams, but in another way, it makes other improbable things possible.